President Richard Nixon ordered plans for retaliatory bombings of North Vietnam after talks to end the war in Vietnam broke down December 13, 1972. Operation Linebacker II, otherwise known as the “Christmas Bombings,” began December 18 and lasted for two weeks. 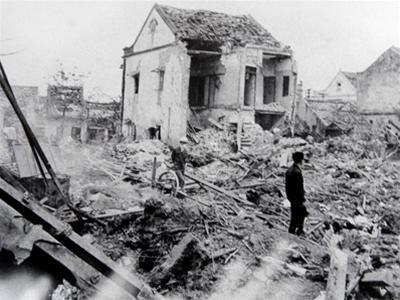 A total of 741 B-52 sorties were dispatched, dropping 20,000 tons of bombs on Hanoi and Haiphong, damaging 80 percent of the electricity supply grid and killing, by Hanoi count, over 1,600 civilians. The United States lost 15 of its B-52s and 11 other aircraft during the attacks. Vladimir Lehovich interviewed William Harrison Marsh in December 1997; Marsh represented the U.S. Delegation at the Vietnam Peace Talks. Charles Stuart Kennedy interviewed another peace talks representative in February 1994, Richard Sackett Thompson. Kennedy also interviewed Stephen T. Johnson in January 1997. Raymond Ewing interviewed James L. Tull in May 2001 and Kennedy talked to Allan Wendt in May 1996. To read more about negotiations, the Vietnam War or Henry Kissinger, please follow the links. MARSH: It seemed that there was genuine progress underway. We were not privy to all of the details, particularly military details. I do recall that in October Dr. Kissinger announced that peace was at hand. 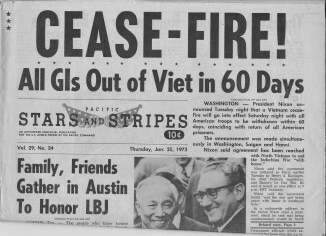 The North Vietnamese delegation returned to Hanoi, North Vietnam after the break off of talks in December and the “Christmas Bombing” began. They had just left their plane and were moving into the terminal when a bomb fell on the plane and demolished it. It is said that had a strong psychological impact upon the North Vietnamese negotiators. But in any event a few days later, yes, we had peace. THOMPSON: …The last meeting we held with them [the North Vietnamese negotiators] was after the [U.S. presidential] election, I recall, in December, and they were still recalcitrant, so we had the famous Christmas bombing. There were two military officers attached to our delegation. During most of the time it was a General and a Colonel, but towards the end it was a Colonel and a Lieutenant Colonel. They had the best intelligence coming in from around the world to our delegation. During the Christmas bombing the North started shooting down B52s, the first time any were shot down. I can’t remember how many were downed, but from our intelligence we also knew they were running out of missiles, so they would soon be totally helpless in the face of our bombing. Under the influence of this bombing, which I think was intended to be close to Hanoi, somehow stray bombs not only struck the French embassy, but killed the ambassador’s mistress, which is very unkind indeed. In early January they agreed to resume the talks, the secret talks, which by then were not very secret because hordes of newsmen would follow Kissinger wherever he went. JOHNSON: Well, I think it [the Christmas Bombings] was seen as pretty effective. Since we weren’t privy to exactly what was going on in the negotiations, it was a little hard to know. But obviously the negotiations did achieve an agreement very soon afterwards. A lot of people, the more hawkish ones, wondered why we hadn’t done it before. 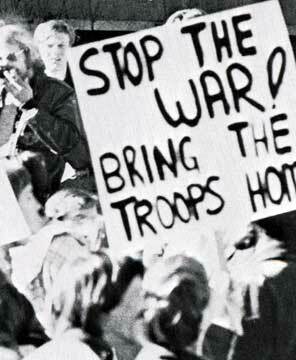 During the war there was this [protest] against the bombing of North Vietnam. Certainly there were great questions about its effectiveness in actually influencing the war. TULL: When our [National War College] class gathered in August 1973, among our military classmates were eight very special ones. Until April, they had all been POWs (prisoners of war) in Vietnam and had only left the Hanoi Hilton five months earlier. Among this group were then-Lieutenant Commander and now U.S. 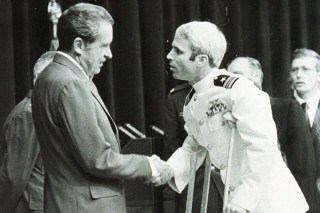 Senator Johnny McCain (seen at left with President Nixon) who, like the others, saw this year as a chance to recover from some severe injuries. 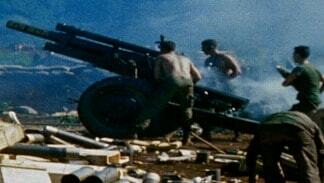 All were in pretty bad physical condition. This would be a difficult year for them in other ways too. Our year happened to coincide with the Watergate investigation and ultimately the resignation of President Nixon, which left them all conflicted. On the one hand, the revelations of wrongdoing and illegalities were perfectly clear to them as to all of us. At the same time, they believed Nixon literally saved their lives. By Christmas 1972, all were at death’s door, certain they could not last more than a few weeks. Nixon’s decision then to resume the bombing of Hanoi — “Linebacker 2″ — had driven the Vietnamese back to the negotiating table and resulted in the POWs’ release and salvation. WENDT: Ask yourself how you would feel as a soldier going into battle when you know your country is already winding down the war. That’s a tough assignment. I think that had a very divisive effect in the United States. 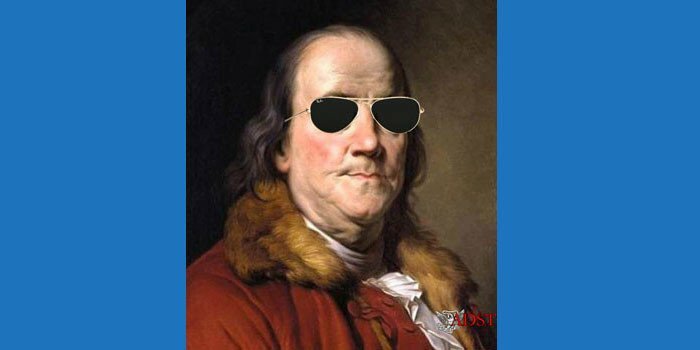 I believe we should have done much sooner what we in fact ended up doing, and which brought about the final cease fire — namely, the mining of the Port of Haiphong and the strategic bombing of the Hanoi area. Nixon finally did that in December of 1972, the famous Christmas bombing, when it looked like the North Vietnamese were reneging on a cease fire deal that the U.S. side thought had already been reached the previous October. I remember years later when I just happened to have my television set on. I think it was public television, and somebody — it might have been David Frost, or some other well-known TV interviewer — was asking Nixon about foreign policy. I think that’s absolutely right. It was a mistake. If we were ever going to do it, then the sooner the better. That was the whole problem — incrementalism — the incremental approach to the war — gradual escalation. It was fatal politically and it was not effective militarily.